The road to a championship is never easy, but in the case of the 2014-15 Chicago Blackhawks, that road has been even more complicated than usual. In comparison to their previous runs, this journey has been a struggle from the very beginning. In 2010, the Blackhawks were mostly new to the experience of being serious championship contenders, but their romp through the postseason was capped off by their first title in 49 years. 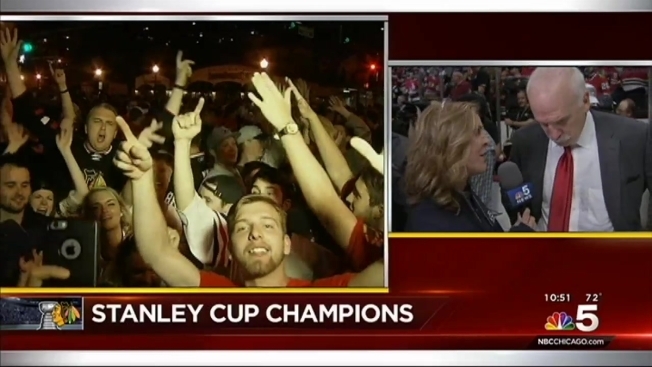 In 2013, things got a bit dicey at times, including a 3-1 series deficit against the Detroit Red Wings, but after winning the President’s Trophy as the league’s best regular season team, the Blackhawks’ run through the playoffs and past the Boston Bruins in the Stanley Cup Final felt like more of a coronation than a rough slog. This season would certainly fit into the latter of those two categories. From the word go, the Blackhawks have had to deal with injury issues, poor performances, and lengthy slumps as they fought their way through a tough regular season slate. Even after the calendar flipped and they entered postseason play, those struggles still continued as they rode four main defensemen and had to go with their back-up goaltender just two games into the playoffs. Despite those obstacles, the Blackhawks still found a way to overcome adversity and gut their way through their trials and tribulations. Corey Crawford’s bounce back series against the Minnesota Wild allowed the Hawks to sweep through the second round, but the team’s backs were against the wall in the conference final against Anaheim. Two emphatic victories carried them through to their third Stanley Cup Final in six seasons, but the road was never easy as they had to go into the Honda Center and beat a Ducks team that had only lost once at home during the postseason entering the do-or-die Game 7. 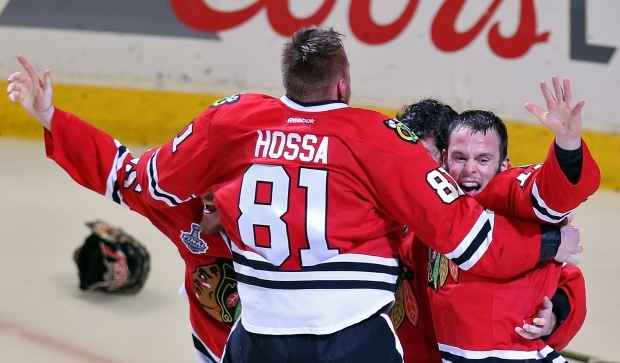 Then, as if all of that wasn’t hard enough, the Blackhawks ran into a young and hungry team in the Stanley Cup Final. The Tampa Bay Lightning figured out all of the ways to push the Hawks to the breaking point, with speedy forwards, aggressive forechecking, and talented blue liners all conspiring to keep stars like Patrick Kane and Jonathan Toews at bay. Even with that being the case, the Blackhawks once again persevered and showed why they have become the NHL’s model franchise. They possess an incredible mix of homegrown talent and big price-tag free agents, and they have four forward lines that boast a blend of offensive firepower and defensive responsibility. Add to that mix a goaltender that has overcome his early struggles to become a dominant force for the Hawks in the crease, and it’s clear that Joel Quenneville and Stan Bowman are working with some high quality ingredients. Unfortunately for the Blackhawks, their current group will once again be sliced into thanks to salary cap concerns. The carnage won’t be as heinous as it was after the 2010 Cup win over the Flyers, but there will still be tough choices to make. Will Patrick Sharp be jettisoned after a decade of time with the Hawks? Will players like Bryan Bickell and Andrew Shaw become pests elsewhere? Will a team blow the Blackhawks out of the water and steal away Brandon Saad? Those questions will all have to be answered in due time, but for now it’s time to focus on firing up the double-decker buses and planning another parade down Michigan Avenue. The Blackhawks are the toast of the NHL once again, and while things are about to change on the west side, it’s clearer than ever that this team can roll with the punches.